Safety devices and methods of use thereof are provided for improving electrical safety of insulative tools. In particular, the present invention provides a safety device for improving safety of an elongated insulative tool of a certain length with a substantially circular cross section having a cross sectional diameter and outer circumference, the device comprising a substantially circular disc with an inner opening for said elongated insulative tool to position therethrough, and said inner opening having a bore diameter that is substantially the same as or greater than the diameter of the elongated insulative tool. The present invention further provides novel methods of using through specific arrangement of the safety devices of the present invention on an elongated insulative tool. This is a device suited for the electric utility industry for the prevention of flashovers during live line work. Both sale and licensing opporunities welcomed. 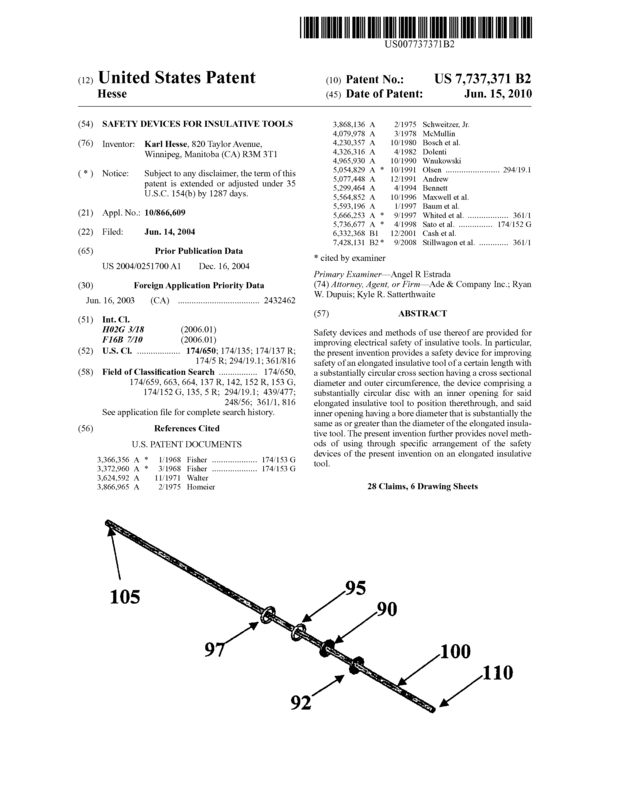 Page created at 2019-04-22 14:14:39, Patent Auction Time.